The metropole of Lagos, Nigeria, Africa. 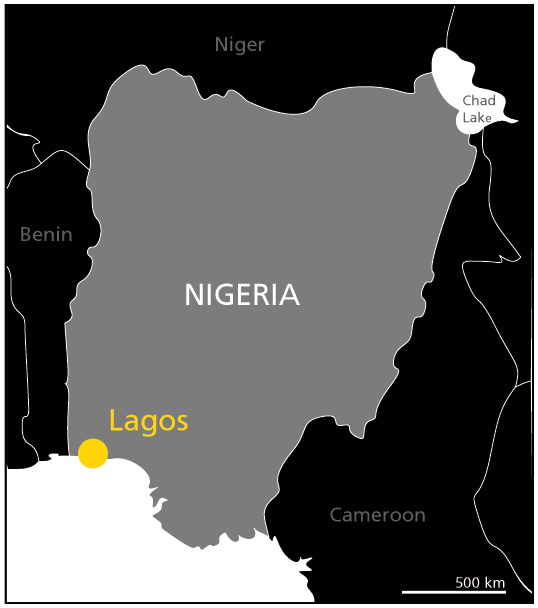 Lagos is one of the largest urban agglomerations, currently counting 9.5 million inhabitants (Unhabitat,2008). 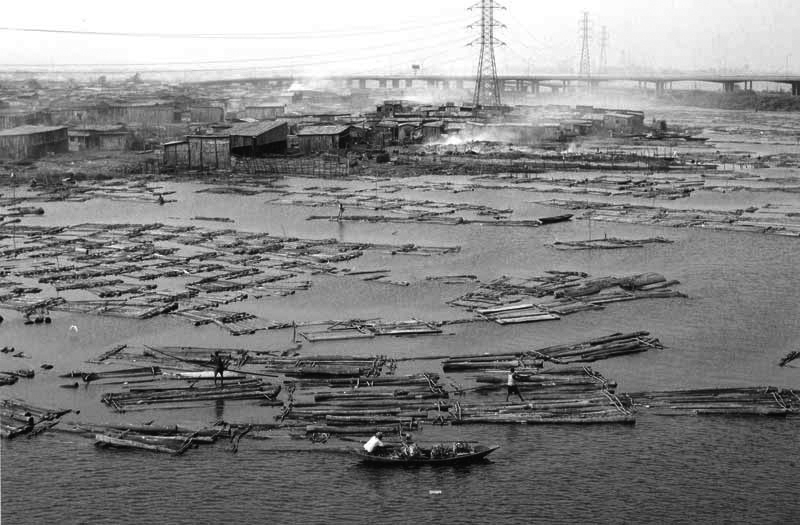 Since the late 70ies Lagos experiences an enormous population explosion and has a growth rate of 5,7 percent per year (Unhabitat,2008). This means, Lagos is growing 2000 inhabitants per day. As the city´s growth rate and the slum growth rate are mostly the same, the city development is not able to connect and to build at that speed. Lacking infrastructure and the emergence of informal settlements and at first glance chaotic conditions are resulting effects. 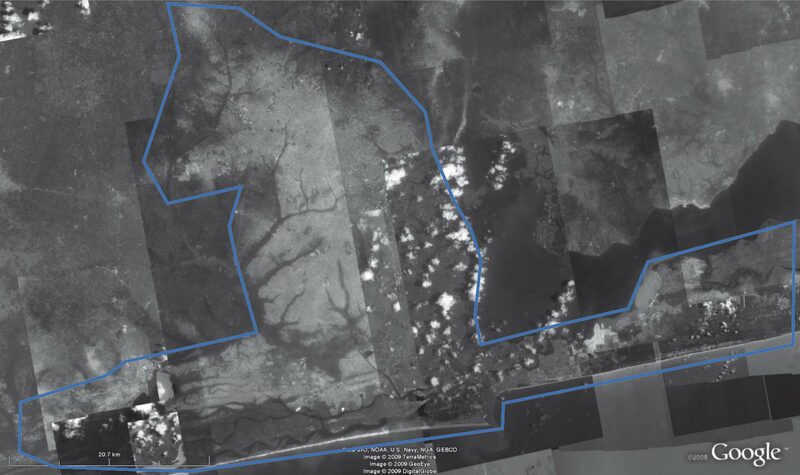 Informal settlements in Ebute Metta, placed at the main access route linking mainland Lagos to the three main islands of Victoria, Ikoyi and Lagos Island. Map of Local Government Areas, LGA´s. 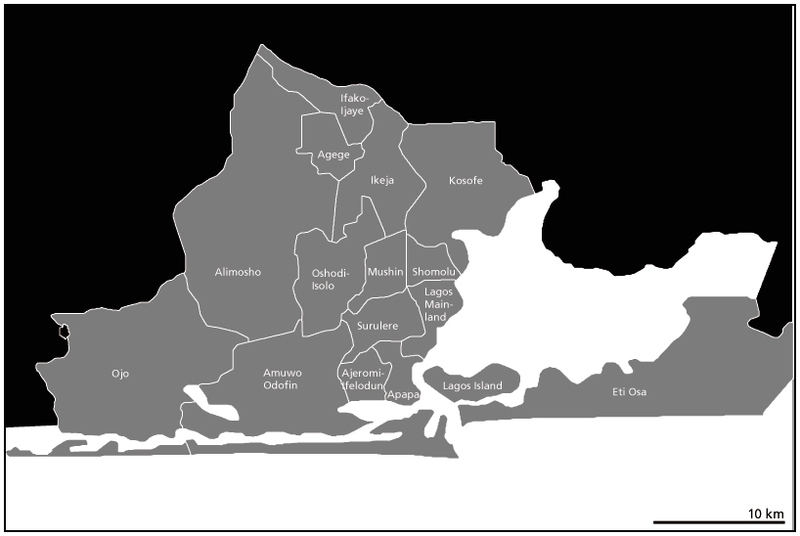 The picture above shows the 20 Local Government Areas LGAs of metropolitan Lagos, which are considered to be independent cities. 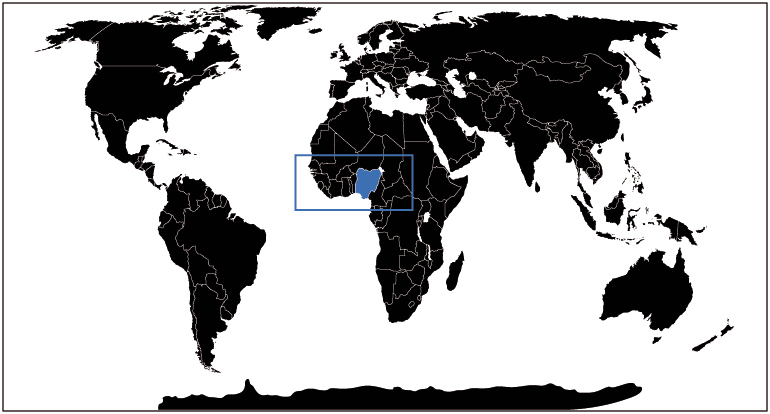 Due to the city´s historic background and geographical position Lagos is Nigerias most important traffic-, economic and culture hub.